Gone are the days when record labels were the be all and end all insofar as music production is concerned. With a sudden spurt in the number of “bedroom producers”, creating sick professional beats within homely confines has suddenly become a bright idea. What caused this tectonic shift? Simple – the emergence of free DAWs or beat making software. Almost all the major hip hop and trap artists today such as Post Malone and Lil Pump didn’t depend on a major label to produce their mixtapes. They simply relied on some of the best free beat making software on the market to drop those hip beats. If you too are a passionate music enthusiast without enough resources to expend, you can fulfil your dream with some of the best free beat making software for Windows PC and Mac on our list. With these intrinsically free programs at your command, you can easily create kickass groovy beats and melodies in a jiffy. What’s more, many of these beat makers provide samples which can be beneficial in learning the ins and outs of beat production. 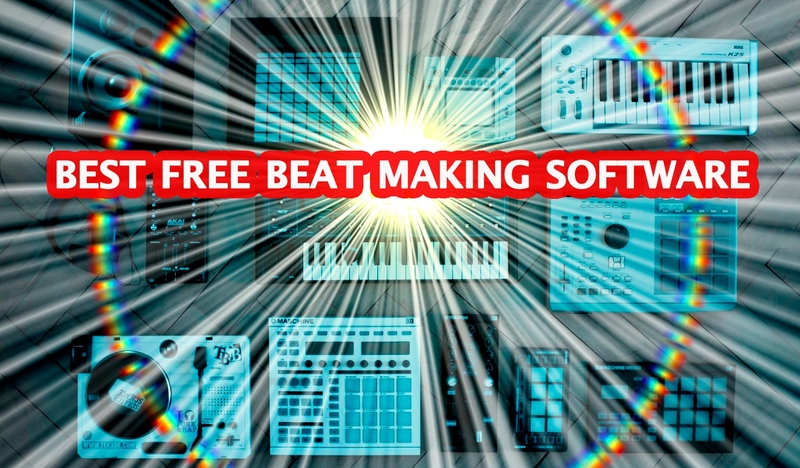 How to select the best free beat making software for PC and Mac? We carefully selected all the beat makers on this list based on several benchmarks. 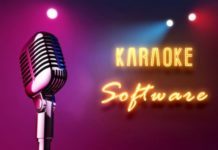 Numero uno criteria was definitely the abundant features these software possess, followed closely by ease-of-use and third-party VST integration. Lastly, the user interface was also considered for closing in on the best free beat maker that could inspire musicians to compose tasty, bass-driven beats and sick bars. So, are you ready to find out the best free beat making software for Windows PC and Mac? Without further ado, let’s begin. Available on both Windows and Mac OS X, Fl Studio has evolved into a prolific beat maker that can churn out polyrhythms and funky EDM beats by the minute. Complete novices can learn the art of beat making and easily create, edit, mix and master tracks on FL Studio’s mega smooth, scalable and multi-touch interface. Although FL Studio is replete with drum loops, synth pads and VST plugins, users can still incorporate third-party plugins seamlessly. What else makes FL Studio one of the best free beat making software for beginners? It comes loaded with many cool features such as a keyboard controller, and real-time stretch tool for tweaking pitch and tempo variations. In fact, the latest FL Studio 12 version lets you detach all the windows within the program for faster audio editing and beat creation. Overall, even experienced beat aficionados will enjoy producing music on this DAW. A through-and-through staple Mac DAW, GarageBand is renowned for its abundant collection of drum loops, sample beats, guitar loops, synth pads and crafty virtual session drummer, all of which, make it one of the best free beat making software for Mac users. For professionals, GarageBand is still a cohesive DAW well-equipped to compose some kickass beats on the fly with support for up to 255 tracks that are just perfect for layering beats. Even beginners would be hooked to GarageBand’s smooth interface right from the get go. Furthermore, with features such as Flex Time you can easily change the timing of an audio track at whim. Also, wirelessly playing any GarageBand virtual instrument on your Mac is now possible using multi-touch gestures on an iPad. Pretty smooth! If you are seeking a formidable beat maker with a simple and intuitive GUI, look no further than LMMS which is an open-source DAW with a built-in song editor for creating kickass tunes. LMMS also offers complete user-defined track automation as well computer-controlled automation so that beginners get the best of both worlds. But, the real novelty factor that injects LMMS into our list of the best free beat making software is its beat+bassline editor that amalgamates heavy bass lines and beats in your mix. You can also craft melodies with a Piano Roll and add hundreds of effects via an FX mixer with 64 channels. Also, LMMS is compatible with a gamut of VSTs and effects plugins supported by LADSPA, MIDI, SoundFont2, VST(i) and GUS Patches. Moreover, you can even import MIDI and FL Studio ® project files onto LMMS as well as export tracks in WAV or OGG formats. Avid fans of drum sequencers will be in awe of Cakewalk by BandLab that can forge some sublime bass-heavy drum patches and control the amount of feedback and delay in your mixes. This DAW, with a 64-bit beast of an audio engine, comes loaded with numerous sound samples, flexible pro-channels modules and a super-smooth skylight GUI. What makes it one of the best free beat making software, you ask? Cakewalk can automatically stretch sounds to the exact length of a beat via its Zplane Elastique Pro V3 tool as well as fix the number of beats per minute thanks to a nifty BMP slider. Of course, you can also adjust the tempo of a track. Furthermore, Cakewalk is compatible with many third-party VST, VST3 plugins for pitch correction, adjusting tempo, and panorama position. Heck, you can even collaborate with other BandLab users to work on your songs. Designed on the lines of Pro Tools and Logic Pro, Ardour is a full-fledged open-source digital audio workstation that offers audio and MIDI multi-track recording/editing. For starters, Ardour boasts an extensive library of AU plugins and third-party VST integration with inline plugin control plus complete sample accurate automation. Not to mention, Ardour is deft at replacing analog or digital tape systems and offers a timeline style of non-linear editing useful for slick multi-track edits. Hence, beginners can easily go back and forth their changes. Furthermore, Ardour also supports some good video editing on the side for soundtracks and is compatible with many audio interfaces. If you want to create customized drum loops and percussion parts, DrumFlow is a powerful drum sequencer which includes an array of sample files (over 127 drum banks that can all be exported to your MIDI editor. It also offers 6 MIDI settings for: pitch coarse, chorus, reverberation, and filter values. But, the numero uno reason why DrumFlow was included in our list of best free beat making software is its ability to create original sounding drum loops that serve as a departure from the same-old digitized drum loops that we have all come to loathe. Additionally, if you want to add more ‘groove’ and depth to your drum patterns, or tweak drum setup parameters, then DrumFlow can also adjust pitch, tone, delay, stereo pan, and add reverb and EG attack. With full support for standardized plugin formats such as VST, LADSPA and DSSI, MuseScore is an intuitive beat composition and notation software that means serious business. Beginners will find its stunning interface easily navigable for crafting fireworthy beats. What’s more, you can also drag and drop VSTs, plugin presets, MIDI files, AUX outputs and of course, audio files. In fact, MuseScore also has fine real-time record/playback credentials to its name and doubles up as a robust MIDI/Audio sequencer. So, you can instantly edit unwanted mono/stereo parts. And, if you can also read or write music, MuseScore provides with tablature creation for virtual instruments. Woot woot! An open-source drum machine, Hydrogen is compatible with both Windows and Mac. Hydrogen’s intuitive interface sports a modular layout that offers multi-layer support for an array of instruments (up to 16 samples for each instrument). With solid features such as pitch corrector, time-stretch, and sample editor, Hydrogen users can easily compose, edit, loop, mix, and master their beats. Furthermore, Hydrogen also packs in a Pattern-based sequencer that can be chained to any track. Fun Fact: you can also edit up to 192 ticks per pattern with variable pattern length as well as import sound samples in multiple formats such as WAV, AU, and AIFF. Wanna smoothly layer polyrhythms in your drum beats? Look no further than Ordrumbox that can come in handy for creating pattern-oriented tracks. In fact, Ordrumbox collects various patterns and determines the number of beats playing in each pattern (16, 32, 48, so forth). Other fine aspects of Ordrumbox include a nifty arpeggiator, auto sound assign, and expansive drum kits that can be edited or deleted as per choice. Further, it also comes loaded with a Soft Synth (with FM modulation & hi pass/low pass filters) for generating sounds via analog synth emulation. 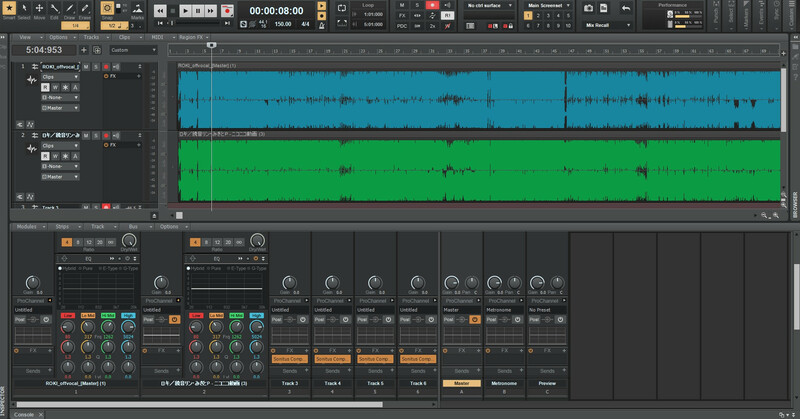 If you have just gotten into music production, MAGIX Music Maker is a great beat maker that is super easy to use and comes with all the bells and whistles. Sporting thousands of different presets, beginners will find MAGIX music maker just the right tool to produce sick beats. Within just a few clicks, you can compose music on MAGIX Music Maker’s simple and decluttered GUI. And if you do get stuck, there are tons of online tutorials on MAGIX to troubleshoot your problems. All together, if you are a beginner learning the ropes of beats production, MAGIX is a lucrative option definitely worth checking out. And…that’s a wrap! Did you like our roundup of the best free beat making software for Windows PC and Mac? Sound off in the comments. Let’s stir it up.